GREAT FOR FAMILIES and CHILDREN. The Paracord Warrior's Rosary™. This Paracord Warrior's Rosary is constructed using nylon micro paracord with a 100 lb. minimum break strength. 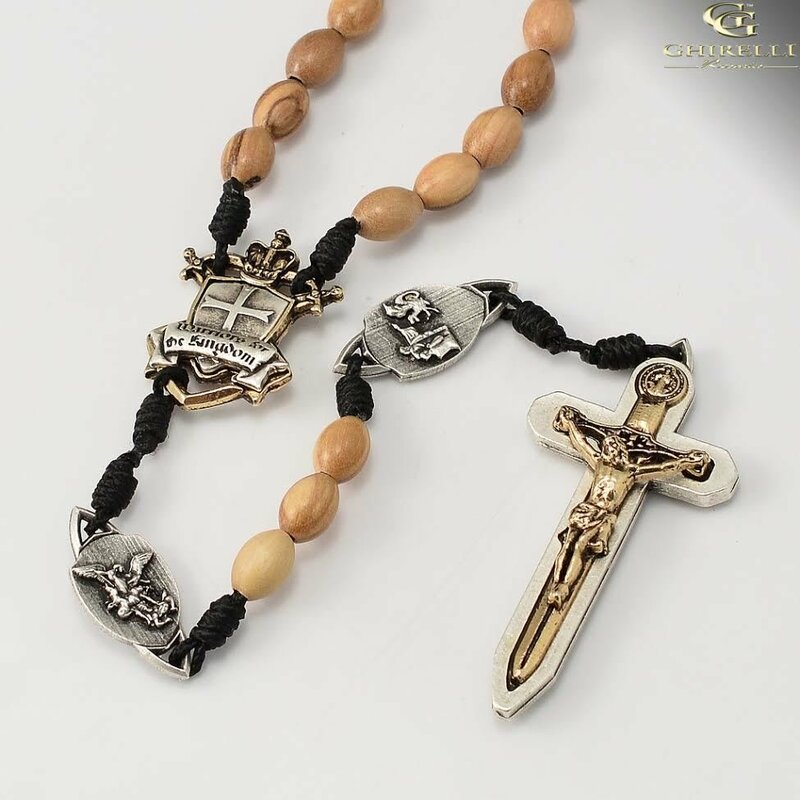 The beads are made of genuine olivewood and hand made by the Franciscan Sisters Immaculatine in Assisi Italy.